If you have not yet received your Homes First Lettings bidding reference number then you will receive this via the post, shortly. 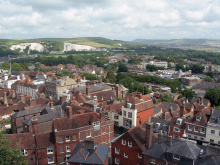 This is the new choice-based lettings scheme for Lewes and Eastbourne Councils. If you are an existing Homemove member you will receive written notification of your new bidding reference number. If you are using Homes First Lettings for the first time, please Login. If you are not an existing Homemove member and are worried about becoming homeless, please complete a housing options self-assessment. If you are in immediate housing need and have not already make contact with us about your situation, you should contact the Housing Needs team as soon as possible.